Kristina Stanley's Back With a New Novel! It’s my very great pleasure to welcome back mystery writer Kristina Stanley. Kristina has just released her third installment in her Stone Mountain Mystery series, and today she’s talking about writing a third book in a series. 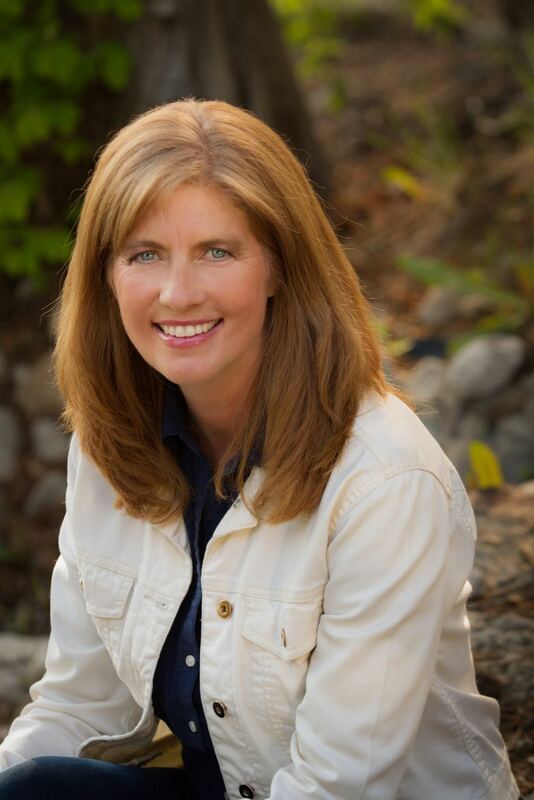 Thank you, Debra, for having me on your blog today. It’s an honor to be here and share your space. An avalanche buries a man. The pressure from the snow is so great he can’t wiggle his toes inside his ski boots. His own breath will slowly kill him as his oxygen transforms into carbon dioxide. The deeper he breaths, the faster he will die. Each novel in the Stone Mountain Mystery series starts with an inciting incident. DESCENT opens with a skier crashing while he’s race training at Stone Mountain Resort. BLAZE starts with Stone Mountain on fire. 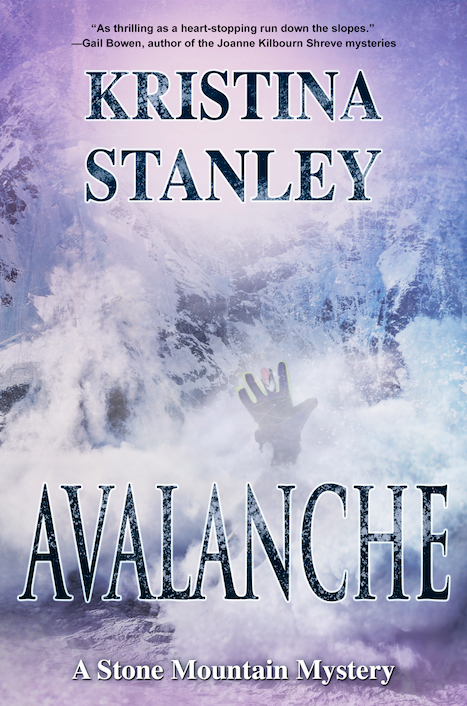 AVALANCHE begins with a man buried by an avalanche. All three openings leave the readers asking if the incident is a crime – and it must be because I write murder mysteries – and leave the reader with an open question. DESCENT: Is the skier dead? BLAZE: Will Kalin find Chica (her dog) who is lost in the forest fire? 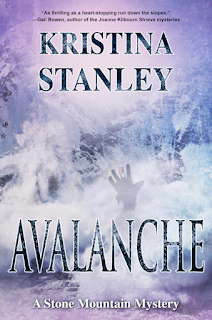 AVALANCHE: Will Roy be rescued before his air runs out? These are not the main plot questions. They are questions about the inciting incident, which will lead to the main plot. I’ve been consistent with my opening structures, so a reader knows what to expect when s/he picks up a Stone Mountain Mystery. While writing a series, you must consider your readers. If a reader has moved on to read book two in the series, that is a huge compliment. So you don’t want to disappoint the reader by changing the style or voice you write in. With a stand-alone novel, an author has the luxury of choosing any point of view, any voice, or any tense that best fits the story. With a series, you must be consistent in these areas or you might lose a reader. By the third book in a series, the reader will be familiar with your style and be looking forward to the adventure you’ve created for them. I write the Stone Mountain Mysteries in close third person point of view with multiple point of view characters. It wouldn’t be enjoyable for a reader if I changed this for the 4th book. The Stone Mountain Mystery series, started out as a stand-alone novel, which then turned into a trilogy, and now that I’m 20,000 words into the 4th Stone Mountain Mystery, it’s become a series. When you start writing that first novel, keep in mind it may become more. Characters and settings have a way of intruding on your life and taking over. If you don't already know about Story A Day, lemme tell you about it: IT'S GREAT! Julie Duffy oversees it, and it's just a wonderful place to get inspiration and encouragement. She posts daily prompts, but I haven't used them, since I've used prompts of my own. So far, I've done the challenge for four years, and I've been lucky enough to complete it every year and post a story a day to this blog. I say "lucky" because I'm aware that luck has a lot to do with it. I haven't had a major health issue with myself or family or close friends during May, I haven't had electrical or internet problems that kept me from posting (which wouldn't have stopped me from writing! ), and I haven't had the well suddenly go dry. Any or all of those things could easily have happened, and I'm very glad they didn't. 2013 -- I keep a binder of pocket dividers, into which I stick story starts, story ideas, bits of dialog, and writing exercises that turned out fairly interesting but not interesting enough to follow up on right away. In 2013, I dipped into that binder and pulled things out and used them. I was going to a writing group at the time, too, that did writing exercises with prompts, and I used those. 2014 -- In April, I went around the house taking pictures of random things: a small globe of the world faced with thin bits of semi-precious stones, a pair of cow sugar-and-cream holders, a fireplace, a bit of knitting. I numbered the pictures randomly from 1 to 31 and used one a day. 2015 -- I began by using the number of the day as my prompt ("One is Enough", "Two of a Kind") but, after Day 21, I gave that up. After that, I just used whatever I happened to be reading or looking at or listening to AND I used some of the wonderful spomments -- spam comments -- that grace my spam folder. Many of those stories were ... surreal. 2016 -- This year, I decided to go for a three-fer, so I made a beginning at cleaning up my office. I had two boxes of bits of paper I had collected over the years and forgotten about: story ideas, business cards, convention programs, photographs, and pens. Many, many pens. I'm also wanting to write some stories connected with various books and short story characters I've already written, so I used stuff from the mess I sorted out to write those stories this May. Some of them will have to be fleshed out, and some of them are tight but complete. I've discovered that the way I don't like to use prompts is to have to stick too closely to them. If I have a set of words, I get itchy if I have to use them exactly as they are. If I have a sentence or phrase as a prompt, I don't want that to have to be the heart of the story. If my prompt is "Write about a dog," I don't want the story to have to be about the dog. The way I like to use prompts is as a jumping-off point. This is the way the Green River Writers did writing prompts, and that's what I like best. It lets me free-associate and follow thoughts wherever they lead. Now, mind you, I can't be all that free during Story A Day May, because I have to turn out a story BeginningMiddleEnd, but I've learned that I can do that best if I have that structure in mind, but let my thoughts play around it for a while. If the prompt word is blue, I want to be able to use sad or cerulean instead. If the prompt word is dog, I want to be able to write about a wolf or a pig or a pangolin. The prompt is like, "We need to go to the store for milk," and writing the story is like, "Oooo! Ben and Jerry's has a new flavor!" This is excellent practice for writing for themed anthologies. The editor's guidelines give you a range for word count -- for instance, 2,000 - 10,000 words, with shorter being better -- and a theme, either specific or general. Maybe the anthology is stories about sweet romantic love between supernatural beings in Medieval Russia. Maybe it's stories about survival after a non-zombie apocalypse in Atlantis. Maybe it's private detective stories set in space or other planets. You know what the story has to have in order to qualify for submission to the anthology, but the only way you can write something uniquely your own and have fun doing it is to be able to let your mind play on those monkey bars. What's Up With Kindle Unlimited? Over the last several days, blogs and forums have blown up with posts from indie authors who’ve had their books delisted and accounts closed from Amazon’s Kindle Unlimited (KU) program. For those few people who don’t know, KU is a $10/month subscription service where readers can borrow any book registered in the program. Authors are paid for every page read, or at least clicked on. Sounds like a good plan, doesn’t it? More readers means more potential fans, book buyers, and exposure for authors. Like many good plans, this one is horribly flawed. I first wrote about one of the flaws several weeks ago when it came out that scammers had created a click-and-bait-link at the front of their books which immediately took readers to the back. Amazon’s bots assumed that all pages were read, so the author was paid for every page in the book. There's a variation of this scam, however, and Amazon’s attempts to stop the cheaters has created another big problem by shutting out some KU authors completely. A blog from the Active Voice describes the experience of one writer whose account was closed. A letter from Amazon accused her of paying a click-farm to borrow her books and drive up her royalties. The practice is called scam plaguing, and a number of outfits apparently indulge in this behavior. This writer, however, did no such thing. You can read more about what happened HERE. The same thing happened to author P.J. Bayliss. She insisted she was innocent and appealed to Amazon to reinstate her account, which they eventually did. The thing is, she still doesn’t know who or how these click-farm bots picked her. You can learn more HERE. An even more most disturbing example comes from K.M. Simmell, who reports that not only was her account closed, but someone started using her ID to attempt to open a bank account. This author is currently waiting for Amazon to finish its investigation and hopefully reinstate her. You can read her story HERE. What really struck me was the number of comments these blogs received from authors who have also had this happen to them. Given that Amazon has about 70% of the ebook market, authors could lose much needed income through no fault of their own. As I posted in one of my comments, those scams are fraud, and fraud is illegal. Amazon shouldn’t be trying to fight the problem on their own. It’s like trying to put out a blaze in your house with a fire hose. Why not call in experts in fraud detection, and stop victimizing the innocent? Maybe they have, who knows? But one thing is clear, until this is sorted out, I won’t be joining KDP Select or KU anytime soon. As fiction readers and writers know, it’s important to keep things as accurate as possible in a book. Nothing throws a mystery fan off more when an author clearly knows little about firearms. The same is true for readers of historical fiction. They despise it when the author don’t know enough about the time period they’re writing in to get things right. Of course, when you’re writing fantasy and creating different worlds, you set up your own rules and timelines, although even these still require a certain amount of logic and consistency. While writing my first urban fantasy, I’m learning that blending magical elements and religion into real settings and lifestyles are still important. I’ve read a lot of fiction involving witches, werewolves, vampires, and so forth. Many of these stories incorporate a different twist on commonly held beliefs about rites, habits, needs, etc, which I imagine drives the purists nuts. 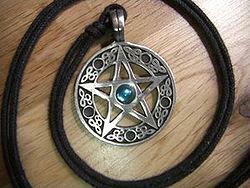 As my Wicca instructor says, so many TV, movies, and books get it wrong about Wicca and witches, that it makes her cringe. In my attempt to get things right, I signed up for a Wicca 101 course, which is being taught by a high priestess of the Wicca religion. I want to better understand what I’ll be writing about. The course won’t make me an expert, but it is a good foundation for further readings, meetings, and interviews down the road. At this point in my first draft, I have no idea how much of what I learn will be incorporated into the book. Some writers write their story and then research what they need to know. But for me, to move this story along, I need to understand the basics so I can incorporate beliefs and practices from the get-go. Research is not only important for credibility but there can be big benefits for authors personally. The most obvious is that your knowledge increases—never a bad thing, right? If you research thoroughly enough you could become an expert in a certain area and begin writing and speaking on that topic. This could lead to more networking, more publication credits, and more income. The benefits of networking, interviewing experts, and volunteering in order to learn—not to mention helping others—could also garner interest in your book, adding names to your mailing list, and possibly gain new and unique outlets to sell your work. Embrace the research and see where it takes you. The rewards could be more than you ever imagined. Those who follow my blog know that I’m always interested in the data released by Hugh Howey and others through his Author Earnings Reports. Howey’s research began nearly two years ago, and with each report he uncovers a little more to better reflect what’s happening with Amazon sales to indie and traditionally published authors. In his latest report, Howey notes that he’s uncovered plenty of info that hasn’t shown up in earlier data. This time, he and his team have gone beyond Amazon’s bestsellers list to collect data. They’ve scoured the also-bought recommendations and authors’ complete catalogs. Howey states that this resulted in a million-title dataset that allowed his team to look at the earnings of a wide range of authors. As is normal for Author Earnings reports, Howey also incorporates detailed charts about the ebook market share. In the past, the reports have focused on ebook sales, but this report takes things to a whole new level by including hardcover, paperback and audio sales on Amazon (note that the study still doesn’t include sales from other platforms). Rather than repeat all of his results, I encourage you to read the report here. It’s detailed but easy to understand and the charts really help visual learners. But I will share Howey’s summary because I believe it to be true. Based on his research, it is certainly possible to earn $50,000+ a year from fiction writing without ever sending out a single query letter to a traditional publisher. A growing number of indie writers are doing just that. As Howey says, these are indeed exciting times! Oh, and one eye-opening hint, literary fiction isn’t doing as poorly as some might think!